Oat flour is super-useful for both gluten-free and conventional baking. Once upon a time, oat flour wasn't considered gluten-free because of cross-contamination. Whether grown in a field bordered by amber waves of grain or ground at a mill that processed traditional flour, chances were that oats and wheat had a chance to mingle somewhere along the way. Fortunately, many growers today have isolated their fields and facilities. If you're not extremely sensitive to gluten, any oat flour will do; but if you have celiac disease (or are whipping up a treat for someone who does), it's important to look for gluten-free certification—you'll see it displayed prominently on the package. A small percentage of those diagnosed with celiac will react to all oats, however. Allergies vary based on individual biology, so if you're baking for a friend with celiac, always ask before including oat flour. Oat flour is worth all this trouble because it behaves so much like wheat flour. It lends soft and fluffy texture to baked goods, with a mild flavor that takes a backseat to vanilla, nutmeg and butter. Here, four tips for using it. 1. 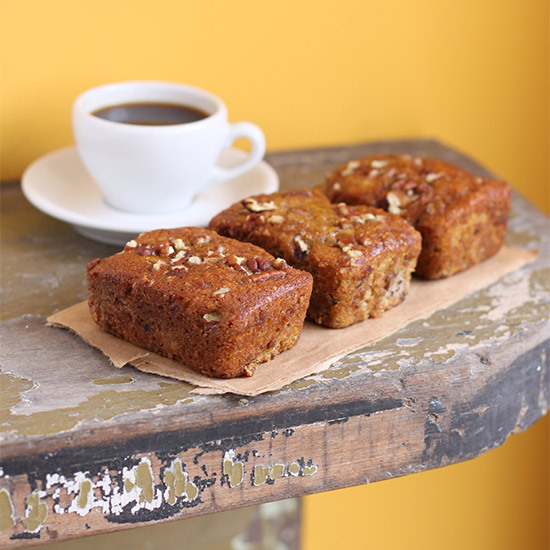 Oat flour lightens the heavy texture of bran muffins, carrot cake and zucchini bread. Try reducing the flour (whether all-purpose flour or a gluten-free blend) by 25 percent and replacing it with an equal amount of oat flour. 2. You haven't had oatmeal raisin cookies till you've made them with a bit of oat flour, which enhances their irresistibly thick and chewy texture. Use as described above. 3. Oat flour is essential in gluten-free white or yellow cake. It's absorbent and light, which helps these mild cakes bake up as light and fluffy as they should. 4. Oat flour is useful even for traditional baking. Try using it for kneading whole-wheat bread. It keeps the dough from sticking but, unlike regular flour, won't toughen the dough if you incorporate too much.